When you outsource your product assembly, it is critical that you choose the contract product assembly supplier that will provide you with the level of service that you need. To help you make the right decision, we have put together this short guide to the best practices to look for in a contract product assembly supplier. Strict compliance with industry standards. The contract product assembly supplier that you choose should comply with all relevant national and international regulations and hold the related certifications. This is your guarantee of consistent quality. 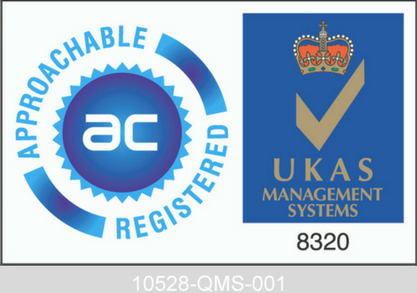 One of the most important certifications for a contract product assembly supplier to hold is ISO 9001. View the MPE Electronics ISO 9001 certificate. Audited quality processes. A contract product assembly supplier should regularly audit its quality systems to ensure compliance with best practices. Commitment to compliance and attention to detail suggests an ability to consistently deliver a quality product assembly service of the highest standard. Commitment to quality standards. A good barometer of the ability of a contract product assembly supplier to deliver a high-quality service is the standard of the equipment they use and its investment in maintaining its hardware and software. Look for a supplier that uses the latest equipment and technology, bespoke software, hardware and practices, and regularly invests in its capabilities. A contract product assembly supplier should also make a full quality manual available to you. Comprehensive, transparent supply chain management. A contract product assembly supplier should offer full traceability of all the high-quality components used in your product assembly. This should be done through a material requirement planning system. This supply chain management and the visibility it affords mean you can easily and quickly track production, match replacement parts and verify processes. Supply network strength. A contract product assembly supplier should have a strong supplier network, underpinned by cutting-edge supply management systems. Look for a supplier that has software that allows them to monitor stock availability on a global scale. This will optimise lead times and maximise cost efficiency. Project management expertise. A contract product assembly supplier should be able to seamlessly process your product assembly project. They should have the flexibility to quickly and efficiently meet your demands and take care of every aspect of your project, from sourcing and purchasing parts from a designated list and building and testing your product assembly, to packing and shipping. Communication with you should be regular and clear. Broad testing capability. Testing is a critical part of the product assembly process and a contract product assembly supplier should incorporate rigorous testing of product assemblies into its product assembly service. A range of testing is required, depending on the environment the product will be used in, and a contract product assembly supplier should be able to carry out every type of testing, either in-house or through expert partners. Rework and maintenance capacity. A contract product assembly supplier should be able to carry out mould rework and maintenance as required. This advanced manufacturing capability helps to maintain a high level of accuracy and repeatability, minimise any disruption to projects and keep product assembly project on time and to budget. Strong focus on staff training. A contract product assembly supplier should display a strong commitment to training and staff development, as well as to a supportive working environment. This enables a highly skilled, highly motivated and high-performing workforce that is dedicated to their employer and to delivering work of the highest quality for you. Established client relationships. A clear sign that a contract product assembly supplier is trusted, reliable and delivers product assembly services of the highest quality is long-term customer relationships. This type of partnership only exists if a contract product assembly supplier excels at product assembly and the customer service that goes with it. For more information on MPE product assembly services, contact us on 01825 764822 or enquiries@mpe-electronics.co.uk.